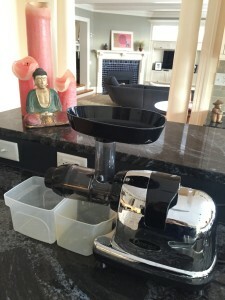 As it happens, I’ve been pretty curious about juicing as a culinary technique. I know that many consider it to be an excellent way to increase vitamin, mineral, antioxidant and phytonutrient intake. Additionally, juicing can help to break bad habits and jump-start a transformation to healthy eating. So, I was all in and it wasn’t long before my daughter and I were arguing about which three-day-juice cleanse to embark on. I found Joe Cross’s great looking cleanse. I liked that it allows for a “meal” of fruits and veggies to “help you feel full so you won’t fall prey to cravings or feelings of deprivation or starvation.” My daughter nixed that idea. “Mom, it’s not a juice cleanse if you can eat”. More, later in this post, on this tid-bit of wisdom. 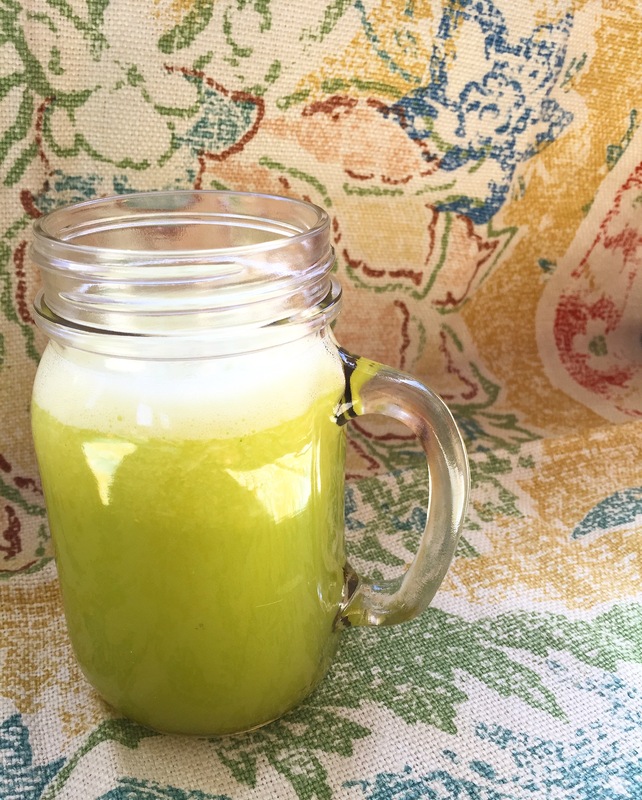 Ultimately, we settled on Susan Shain’s 3-day DIY Juice Cleanse. Basically, the cleanse involves drinking six juices a day supplemented by as much water and green tea as you like. I wrote down the required ingredients, set off for Russo’s, my favorite supermarket for well-priced produce, and filled my shopping cart with the freshest organic (wherever possible) fruits and veggies I could find. The bill came to $54. So this 3-day juice cleanse was going to cost us about $9/day/person for six juices. Not super cheap, but definitely a savings over a juice cleanse care of Whole Foods or a local juice shop. Juice #1: Green Juice @ 10 am (we got a late start) The juice is delicious. It is packed full of kale, romaine, celery, parsley, cucumber, apple and lemon. 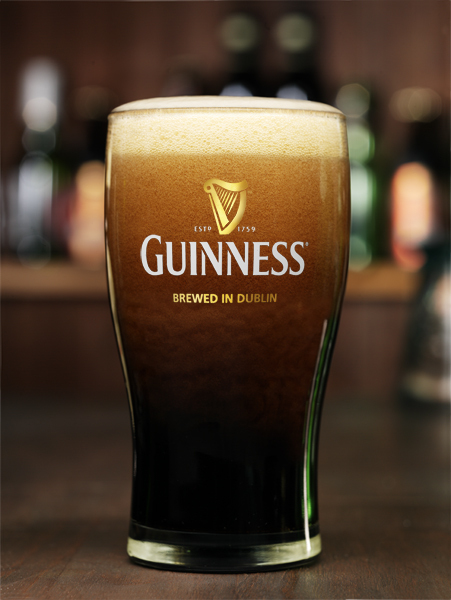 Despite all the greens, it manages to be tasty, sweet, bright and refreshing. I’m feeling great about all of the health-promoting micronutrients we are consuming. Juice #2: Pineapple Apple Mint Juice @ 12 pm. We’re loving this. The juice is so good. There is plenty to share with my daughter’s boyfriend. We sip our juices over a competitive game of Rumikub. 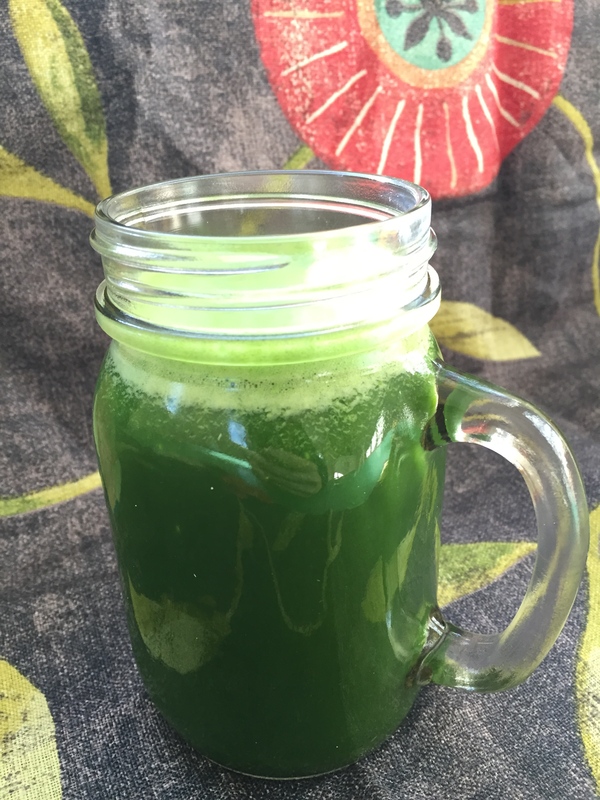 Juice #3: Green Juice @ 2:00 pm. I’m feeling pretty hungry at this point. Seriously missing beans and grains, a major staple of my diet. Nonetheless, willpower is still strong and I drink the second green juice of the day. 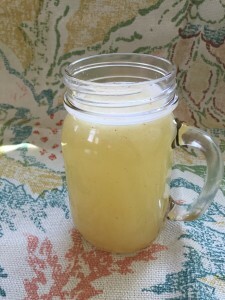 Juice #4: Spicy Lemonade @ 3:00. This juice, made with water, lemon juice, agave and cayenne is a hit. Here’s the thing, though. It’s food I want. Not another drink. 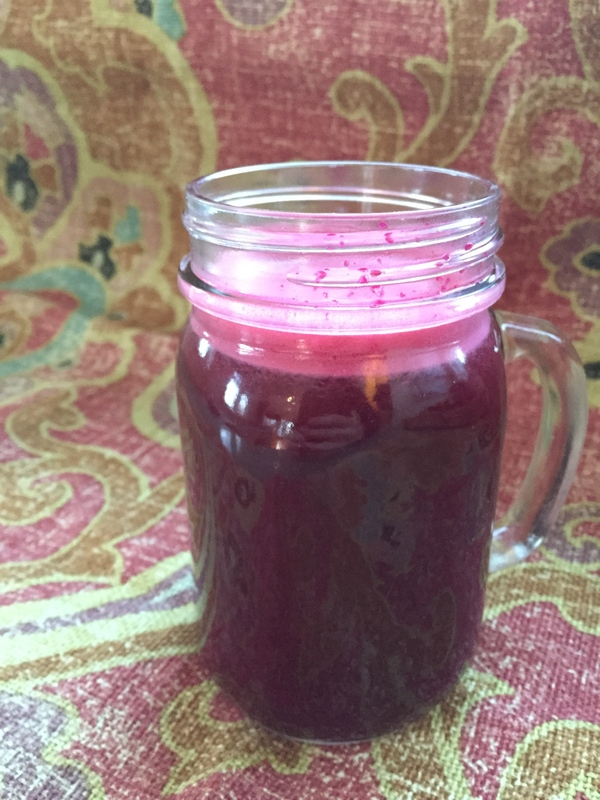 Juice #5: Beet Juice @ 5:30. Well it’s not technically beet juice, it also contains apple, carrot, ginger and lemon but beet’s the overwhelming flavor and color. My daughter is not around for this one. She’s heading to her boyfriend’s house. So my husband drinks her portion. We both love it. If any juice is going to be satiating, this is it. However, even if I drink three gallons, it still won’t come close to satisfying my hunger. Juice is simply not solid food.I’ve got this photo of the fiber expelled from my juicer to prove it. Juice #6: Unflavored almond milk. This doesn’t happen. I’m so hungry and waterlogged, the thought of any liquid, let alone a nut-milk, is totally unappetizing. My daughter, by the way, is still gone and having a wonderful time snacking on home-made pizza at her boyfriend’s house. For a fine example of irony, see above for her strict definition of a juice cleanse. At this point I’m just waiting for the day to be over so I can wake up in the morning and be one day closer to the end of this experiment. I do a few rounds of my nightly sit-ups, leg lifts and push-ups (light exercise is allowed in the cleanse) and I head to bed. I don’t sleep well. You see, I’m a cooking teacher, recipe developer for a cookbook I’m writing and a caterer. All night long, in my dreams, I’m working. Not once do I sample a morsel of food. The darn juice cleanse haunts me even in my sleep. Morning is a relief. Here are three things I notice when I awake. I’m feeling much more focused than usual…I’ve got a laser focus on food. I’m very thirsty. How is that even possible?? Back in the kitchen, I brew a cup of Puerh Tea. I love this fermented tea from China. It’s pretty magical stuff, a real mood lifter. So, I’ve got some good vibes going heading into my second day. 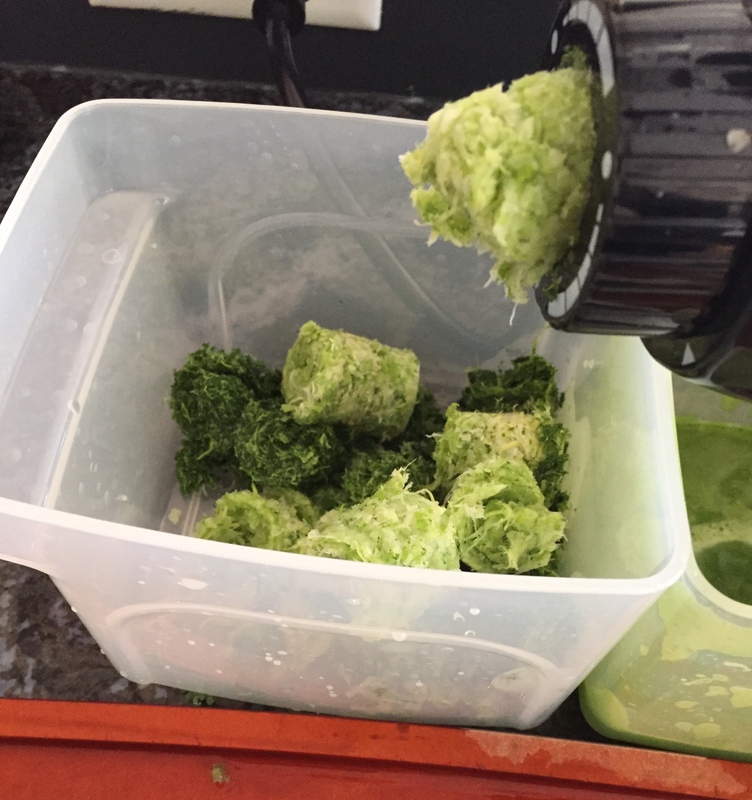 Juicer out and cleaned, the routine starts again with the Green Juice. My husband is now on board, too. After drinking his juice, he’s off for a two-hour workout on his bike trainer. Never mind the light-exercise rules of the cleanse. High intensity is his style. By mid-afternoon, I’m really starting to question this whole juicing idea. I am sick of sweet drinks and I’m very hungry. I’m daydreaming about hummus and sliced tomato on a salty cracker. 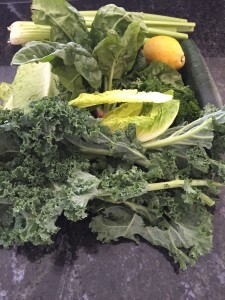 My eldest daughter sees my post about the cleanse on Instagram and calls to check in. I vent. She asks whether I’m actually hungry or just want something to chew on. Good question! This gets me thinking about hunger vs. habit. I eat well. I avoid processed foods, animal products, and love my diet of whole grains, beans, fruit, vegetables, nuts and seeds. But still, as I mentioned earlier, my professional life revolves around food. I’m in the habit of eating all day long: testing and sampling; I never really allow myself to get hungry. This was a revelation. Perhaps that’s what’s meant by a cleanse having the ability to break bad habits and jump-start a transformation to healthy eating. I follow the juice routine and again, by the time early evening comes, I’m so sick of fluids, I can barely bring myself to drink the beet juice, let alone the almond milk. Meanwhile my husband veers off course, heads to the local bar to celebrate St. Paddy’s Day and opts for a few pints of beer over Juice # 5 and #6. About the same time that my daughter, who has been out at the movies, returns home with Chinese take-out, my husband arrives home too. He joins her at the table and eats some leftovers: vegan sushi and a vegan burrito. The smell of food is so painfully tempting and I’m so “hangry”, I chide my husband for breathing the scent of Mexican spices in my direction. I do my nightly round of leg-lifts, sit-ups and push-ups while groaning to my husband about my hunger. He wonders why I don’t just go into the kitchen and grab something to eat. Well, if there is one person who should understand my aversion to quitting, it’s him. Read this and you’ll understand what I mean. My husband and daughter, however, aren’t done. In the kitchen, they are ready and waiting to start their morning cleanse. And so, the routine begins again. “This is the last time, guys”, I tell them, “after this, you’re learning to use the juicer and you’re on your own!” I’m looking forward to that; then they can make juices for me. You see, I’ll definitely be juice cleansing again. But I’ve learned, one day is more than enough. One final note: some medical and nutritional experts question the health benefits of juicing. This video by Dr Michael Greger addresses some of their concerns.